My look of the day is quite punky, isn’t it ? Ricielli’s skirt from The Dressing Room Blue new year’s edition inspired me ! I’m used to wear mesh now ! 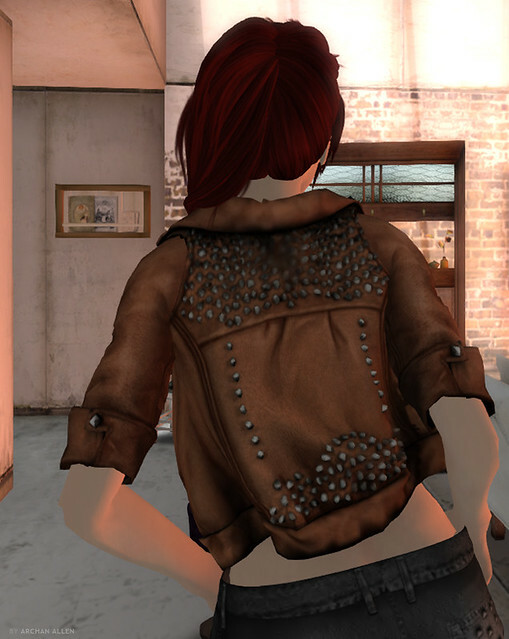 (Awsome mesh jacket isn’t it ?) Welcome home ! I am thinking about redecorating my house lately, and I just read about Awsome Blossom closing sale. It is always sad to see a good store closing. I think it is time for me to go hunting some of the best furniture and decoration from AB. From January 1-15th everything is 50% off. (Thanks to Kawaii Nicole for sharing the info !) See you there !